Join Artist Mary Padgett and Spanish Steps for a week of plein air painting in one of the most pristine and least toured areas in Spain. Immerse yourself in the perfect artistic environment: a magnificent landscape, a unique culture, comfortable lodging, and a supportive community of artists. 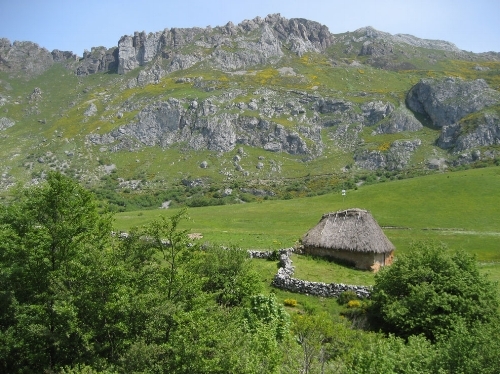 Live, paint, and relax in this hidden corner of Spain! 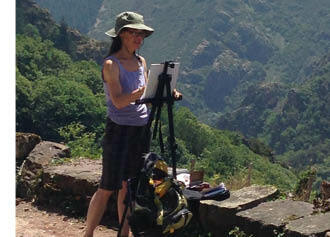 With spectacular mountains, fertile farmland, ancient villages, and Spain’s Atlantic coastline as our backdrop, we’ll travel daily by foot and/or van stopping to paint under the direction of artist and teacher Mary Padgett. Our subjects will be as diverse as the landscape we cover: terra cotta-roofed villages nestled in the mountainsides, thousand-year-old yew trees, hórreos (Asturian granaries), a dramatic coastline with sandy coves and hillside fishing villages – even an open-air mercado and a town square on a busy morning. The €1600 Euro fee includes spacious lodging, all breakfasts and seven dinners expertly prepared by both chef/owners Juan Carlos and Judy Colaneri, daily transportation, guide service, and instruction by award-winning artist and art educator, Mary Padgett. 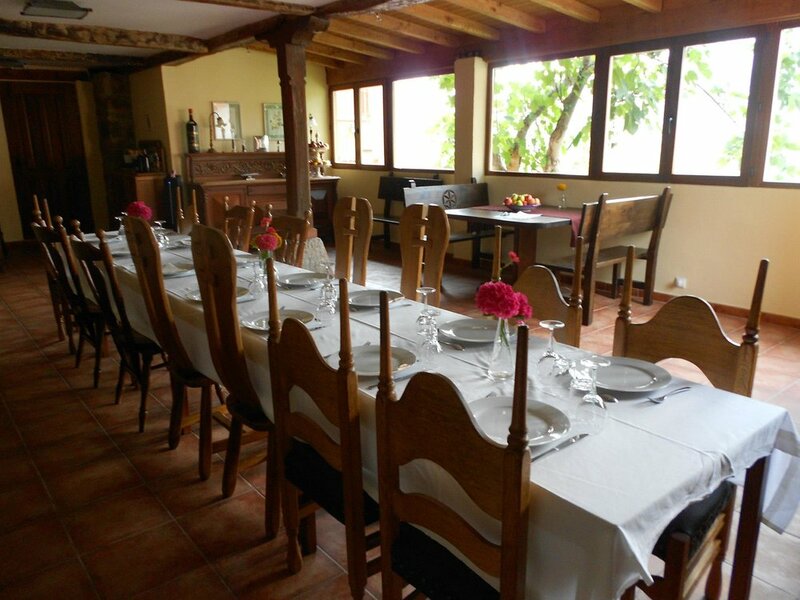 Accommodations are at Fuentes de Lucía, a newly converted farmhouse resting on a hillside in the lush and picturesque Quirós Valley. Click here for a video made by Judy Colaneri, owner of Fuentes de Lucia.
" The food and wine, the lovely, fully-equipped rooms, the view from the terrace, all were far above my expectations. All in all it was a marvelous time, one I will never forget. When do we get to do it again? " All portable art media including pastel, watercolor, pen and ink, cameras, and iPads are welcome as are artists from beginners to professionals. Mary will offer participants technical instruction and will establish a supportive working environment to enhance each artist’s experience. We welcome non-artists as well with alternative activities offered during our painting sessions.